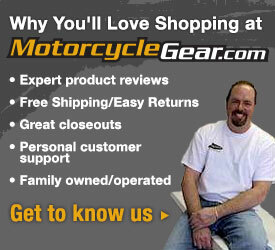 MotorcycleGear.com (the new name of New Enough) :: Motorcycle Jackets, Helmets, Gloves, Boots, Luggage, Parts and More! April 22 Final Day To Save Up To 25% Off Olympia! April 19 Price Drops On Several Closeout Items! April 17 Save Up To 25% With This 6 Day Sale From Olympia! April 12 New Scorpion Closeouts And Price Drops! April 10 Summer Jacket Picks And Best Sellers! We ship to many international locations.